Data analytics is used in the real world in a lot of jobs that you may be looking to get yourself into. In order to get yourself into data analytics and get hired into a job that will pay you more money, you are going to want to ensure that you have everything that you need to know under your belt so that you are placing yourself one step ahead of the competition and get yourself hired! 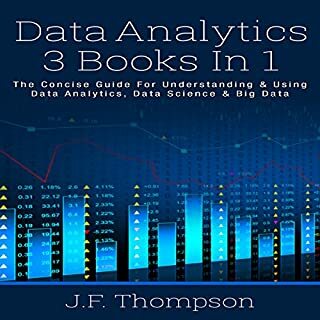 In this book set you will find all the information you need to get ahead and understand data analytics, data science, and big data. 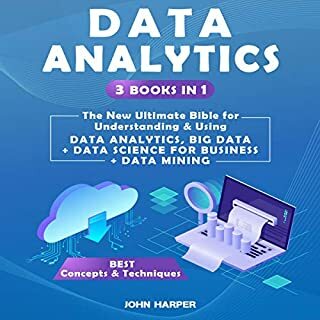 In this three-audiobook bible, we will discuss everything you will need to know to start understanding the world of data analytics, big data, and data science for business and data mining. The information will expand past the basics of data analytics into the more complex world of predictive analytics, regression technique, and discrete choice. Did you know the value of data usage has increased job opportunities but that there are few specialists? These days, everyone is aware of the role data can play, whether it is an election, business, or education. But how can you start working in a wide interdisciplinary field that is occupied with so much hype? 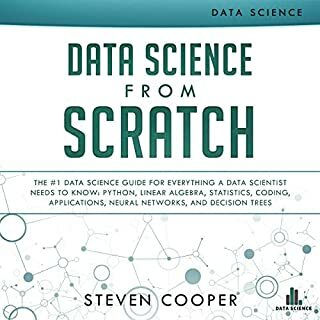 This audiobook presents you with a step-by-step approach to data science as well as secrets only known by the best data scientists. 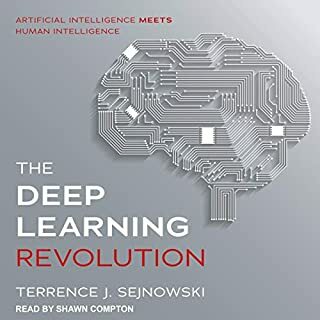 In this audiobook, Sean Gerrish offers an engaging and accessible overview of the breakthroughs in artificial intelligence and machine learning that have made today's machines so smart. 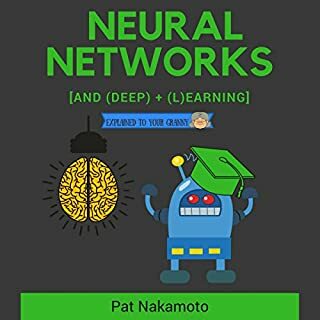 Science and technology buffs will find this audiobook an essential guide to a future in which machines can outsmart people. Just about anyone with interest in modern technology is looking to learn more about machine learning. This innovative new form of computer programming is the primary tool that makes it possible for a machine to perform a wide range of tasks for you that could range from recommending a good movie to driving you to work every day. It is the tech of the future. But it is also a subject that can literally boggle the mind. If you’re interested in getting a better grasp at just how this new technology works and what it means for the masses then this is the book for you. It has never been easier for organizations to gather, store, and process data. Use of data science is driven by the rise of big data and social media, the development of high-performance computing, and the emergence of such powerful methods for data analysis and modeling as deep learning. Data science encompasses a set of principles, problem definitions, algorithms, and processes for extracting non-obvious and useful patterns from large datasets. It is closely related to the fields of data mining and machine learning, but broader in scope. 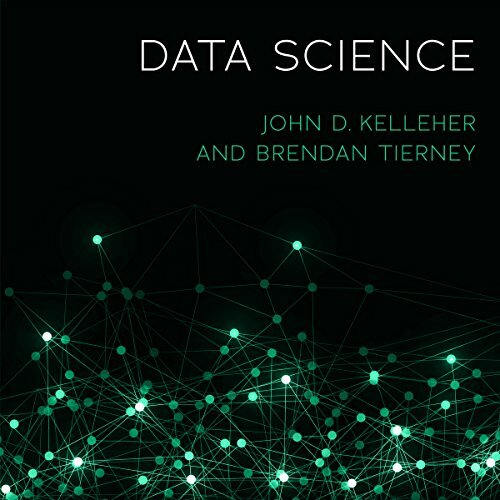 This book offers a brief history of the field, introduces fundamental data concepts, and describes the stages in a data science project. 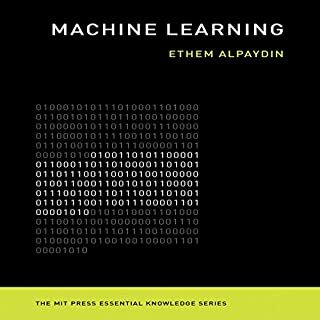 It considers data infrastructure and the challenges posed by integrating data from multiple sources, introduces the basics of machine learning, and discusses how to link machine learning expertise with real-world problems. The book also reviews ethical and legal issues, developments in data regulation, and computational approaches to preserving privacy. Finally, it considers the future impact of data science and offers principles for success in data science projects. good overview/introduction; clear and concise- BUT the narration is atrocious. the reader has great diction and speaks with precision, but he clearly doesn't know much about the subject matter so for about the first 80% of the book he tries to make up for it by careening all over the place with his pitch, stress, juncture, and inflection. his stressing of arbitrary and inappropriate words and syllables takes fairly dense content and adds a layer of complexity that's baffling and unnecessary. to be fair, I'm sure he's a good narrator when it comes to content that he understands. there we're also some problems with the audio editing in the first third of the book- paragraphs and chapters sometimes start in the middle of a word or sentence, so when you add that to his bizarre pitch modulation, it can be pretty disorienting and leave you wondering if there was something important that was left out. There's probably two hours of material and the ethics/philosophy parts are too absolute for a book about data science. As for the material, most of the application side is common sense, but it was nice to hear it. This is an excellent primer on the concepts, current state, and implications of data science.